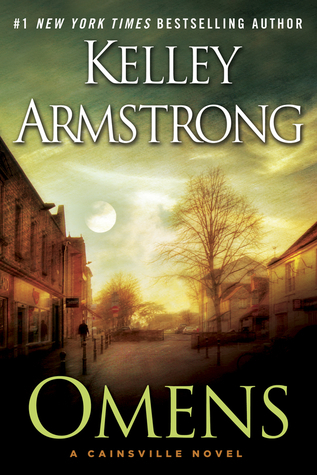 Omens is the first book in the new Cainsville series by #1 New York Times bestselling author Kelley Armstrong, best known for her Otherworld series. The second Cainsville book, titled Visions, is in progress. Olivia Taylor-Jones, the daughter of the wealthy owner of a department store, recently received her master’s degree from Yale and does volunteer work in her spare time like her philanthropist mother. She is soon to be married to the CEO of a tech company who was voted one of Chicago’s most eligible bachelors three years in a row. However, her life falls apart when her identity is revealed: Eden Larsen, the daughter of the notorious serial killers Todd and Pamela Larsen. Since Olivia’s parentage was only known by her deceased adoptive father, this news comes as a great shock to everyone—especially to Olivia, whose parents had never told her she was adopted as a toddler. The media constantly hounds her, her adoptive mother distances herself from Olivia after learning she’s related to criminals, and the only person who seems at all sympathetic toward her is her fiance James. Yet even he would like to postpone the wedding until things settle down, a desire Olivia suspects is connected to his recent decision to enter politics. Olivia breaks off the engagement and leaves, planning to find a job and a place to live, but these goals are hindered by the fact that everyone recognizes her as Eden Larsen and no one wants to hire the daughter of the infamous Larsens. Olivia leaves Chicago entirely and relocates to the mysterious town Cainsville, where she rents a small apartment and gets a job as a waitress at a local diner. When her biological mother requests to see her, Olivia visits her in prison with the help of former lawyer to Pamela Larsen and former Cainsville resident Gabriel Walsh. Olivia enlists Gabriel’s aid in investigating the final murder said to have been committed by Pamela and Todd after Pamela requests that Olivia contact some organizations about appealing their case. She insists there is a reason she and Todd could not have killed the final two victims they were supposed to have killed. If it can be proven they are innocent of those murders, it’s possible they can be given a second chance to prove they are not responsible for the deaths they were convicted for. My thoughts on Omens: Meh. The End. While Omens contains some fantasy elements that I’m assuming will be explored more in later books in the series, it’s closer to a mystery/thriller/suspense novel than contemporary fantasy. The supernatural aspects are sprinkled in and are not nearly as important as the mystery plot. 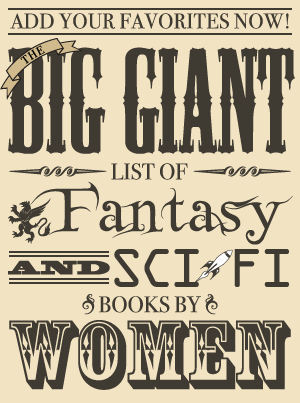 Unfortunately, this mystery plot, the writing, and the characters are all mediocre, and the additional lack of well-developed, interesting fantasy elements prevents Omens from being a memorable book. Since it is simply written and repetitive, it’s an easy book to read quickly, but there were times I found it dull, especially toward the beginning, and it never became any better than mildly entertaining. Part of the reason Omens didn’t particularly excite me is personal: I’m not a big fan of mysteries by themselves and this novel is largely focused on investigating a murder mystery. However, I also thought Omens failed to succeed at much of what it appeared to be trying to do. I got the impression that Cainsville, the town Olivia moves to after the discovery about her biological parents, was supposed to be very mysterious with the hints of its history, gargoyles that protect the town from the plague, and residents who have a touch of supernatural ability. Plus Olivia’s flight to Cainsville is orchestrated, and someone really wants her there for some reason as we’re told from one of several short interludes told from the perspective of various characters other than Olivia. These sections also seemed to be trying to get me to wonder at the mysteriousness of it all, but I just found them clumsy since they both did more telling than showing and didn’t add much to the story or say much that was new. Yet despite the great pains I felt were being taken to make me want to know more about Cainsville, I didn’t care about what was going on or find it particularly compelling. Too little information was given to pique my interest, especially since what was given was vague and generic. Thoughts by a minor character on Olivia and Eden as names and which fit her better? I don’t care. A section that confirms what was already quite obvious that someone was more than they appeared? Unnecessary. Olivia’s budding ability to see visions that went with various superstitions that could be interpreted as omens? A little creative, at least, but still pretty similar to being a seer, especially since she never used this in a way that was particularly unusual. Of course, she’s still learning about this, but her abilities were never utilized in a way that made me want to see what she could really do. In general, the writing is quite dull, especially since the aforementioned attempts at adding suspense just added to the length of the book. Telling instead of showing is a big problem that extends into Olivia’s main narrative as well. Much of the book is Olivia’s thoughts or dialogue, and there’s not much to keep one guessing about what might be meant by what is shown since it’s all spelled out repeatedly. Furthermore, being in Olivia’s head is boring since she just spills all her thoughts onto the page without having much personality or a unique narrative voice. The fact that Olivia did simply narrate her story without coming alive as an individual kept her from being an engaging character. She could have been an intriguing figure since she did prove to be independent and capable. Even though she came from a wealthy family and never wanted for anything in her life, she was able to take care of herself. She had no problem with going out and getting a job and a shabby apartment if it’s what she needed to do. I also thought her decision to go out on her own made sense. While Olivia had money and a handsome rich fiance, she also didn’t seem entirely happy. Her relationship with her adoptive mother is somewhat strained, and it’s quite obvious that she is struggling since her adoptive father, whom she was close to, died. Olivia also seems to feel a bit trapped since she does want to continue her education and have a career instead of following in her mother’s footsteps, and she also seems rather dismayed by the recent news that her fiance has plans to go into politics. With the cold reaction she received from her mother and her fiance’s wish to postpone the wedding after discovering her identity, I think it makes sense that she’d try to get away for a bit. After Olivia, the most prominent character was Gabriel, the ruthless lawyer who helped her with the case. As with everything else in this novel, I felt like the book was trying to convince me he was more interesting than he actually was. He rose to a prominent position on his own, has a mysterious past, and may have some humanity hidden under that cold exterior. I suspect he and Olivia will fall in love, but there’s no sparkling dialogue between them that makes me care if they do. Omens was a mediocre book that failed to live up to its potential. At times, it managed to be entertaining and though I have criticisms I didn’t despise it, but it was ultimately not at all special or unique since it had bland characters, writing, and fantasy elements. Cainsville is not a series I plan to continue. Where I got my reading copy: Review copy from a publicist.